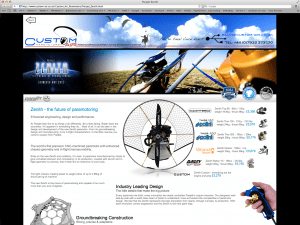 One year on and possibly the most influential engine ever released to the paramotor world in recent times. The interweb chatter on social media sites, forums and talk on the field is where I hear about the nitro engine. What I hear though is good news, no complaining, just praise. It’s a first for paramotoring as we can be a harsh bunch when new products arrive. 1st was the pull start Nitro 11.3kg which was later followed by an even more popular electric start nitro at only 11.7kg… What ever next? Well one year on and Air Conception are here to break new ground again. 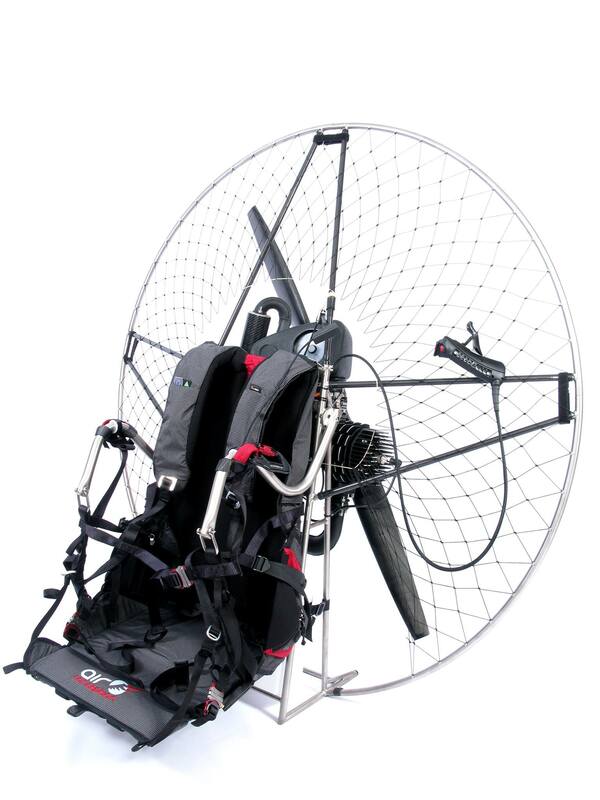 Using the now well known Nitro engine they have adopted an extraordinary 165cm paramotor frame. Yes you read that right. 1 6 5 cm (1.65m)!! Why so large, why such a jump in size. 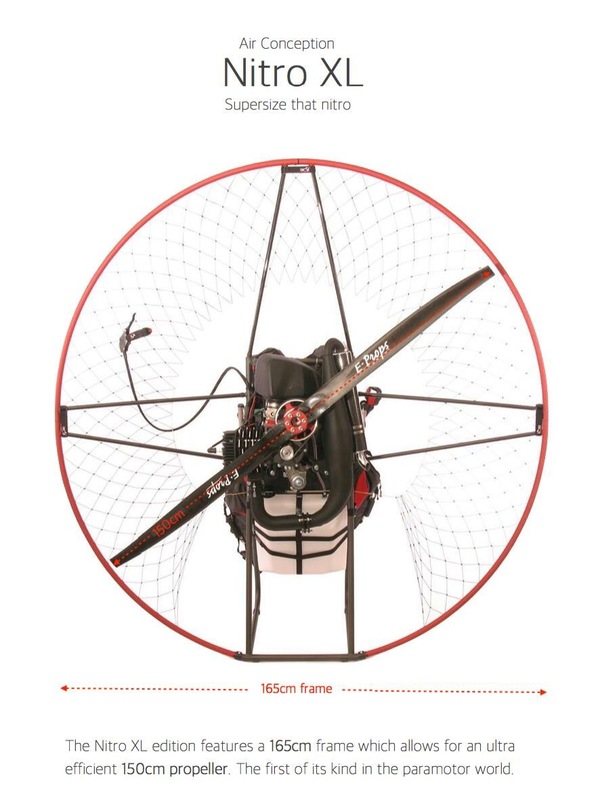 Utilising their alloy delta frame 165cm hoop allows for the fitting of a 150cm prop, not any prop, a high aspect, light weight carbon e-prop using their most efficient blade technology. This creates a number of improvements. Greatly improved fuel economy, less noise and increased thrust. Some numbers have been put out from the manufacturer, less than 2lph cruising, reduced noise at level flight from lower rpm, plus a healthy 80kg thrust. E-prop has already been tested to show noise reductions of up to 10db, adding to this the 150cm requires low engine rpm for level flight, then it is sure to be quieter which is great for everyone. Air Conception are on a roll this year, launched to stardom with the Nitro, we wait with keen interest to see what they bring next. One thing we know of that is next in line is a clutched version of the electric start nitro and already some pilots are queuing. A great video of the Aviator PPG guys, unboxing and playing on the new Air Conception Nitro 200cc. This new engine is set to take the paramotor world to new heights. Final realisation of the Nitro 200cc engine, picture shown is the off the final production model. Promising to be economical, light, quiet and reliable. 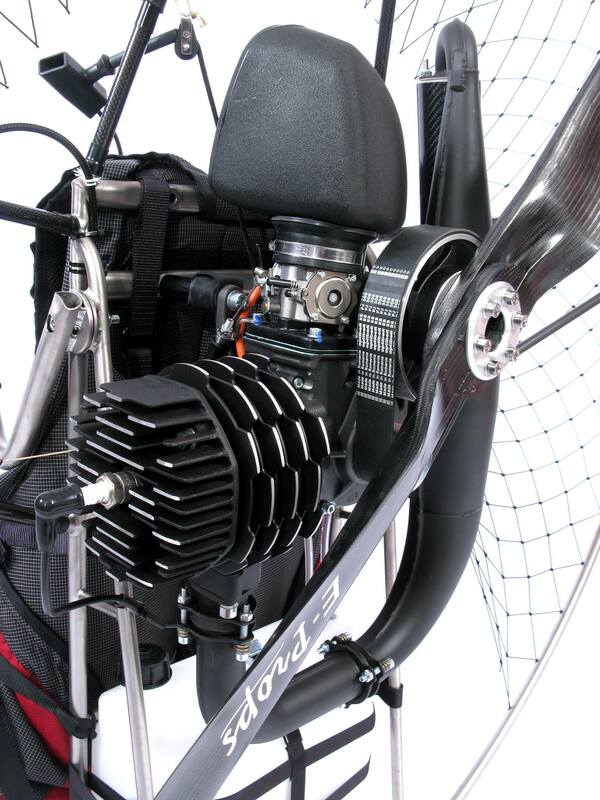 The Austrian made EOS 100 Paramotor engine. The very light engine is built small, nicely and compact with the use of only highest quality materials. Well manufactured in all details by the use of most modern techniques with a smart constellation of components which are perfectly working together. The engine is easy to start up, with a smooth and constant run at idle. The well adjusted carburetor together with the unique HIFLOW-SHOT air box care for an even run in all revolutions. Perfectly balanced crankshaft, fly wheel and shafts care for a low vibration. The fan cooling prevents the engine against overheating and allows long duration runs at full power. 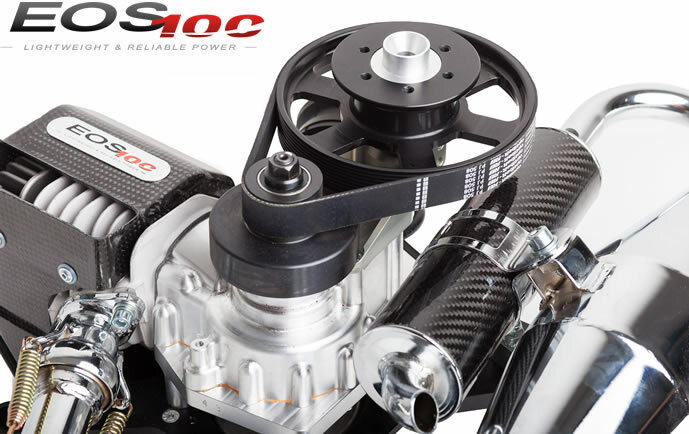 Considering the small size and very low weight, the moderate compression ratio for a durable and long life span, the small displacement, the engine gives an optimum thrust and astonishing power. The well proven engine concept and the use of highest quality materials and components, the best workmanship and accurate engine assembly, all grant for a highest quality product and reliable engine run throughout a long period of operation. above a video showing a test where the engine is run flat-out for 2 hours in a heated room. 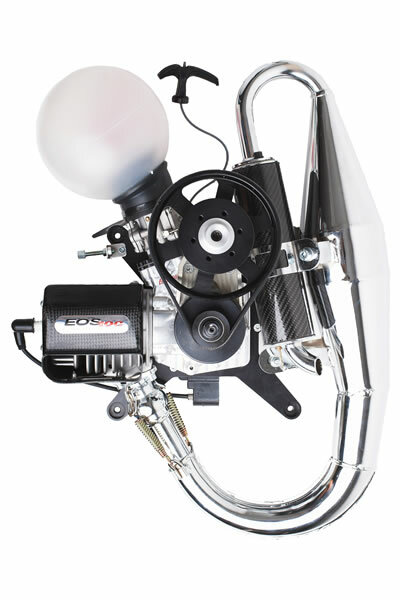 Parajet has added the Moster engine to the Zenith range giving a choice of 5 engines. Top80, Polini Thor 100 & 200, Bailey V5 and now the Vittorazi Moster. With the Moster the Zenith becomes one of the lightest, high power machines available on the market. 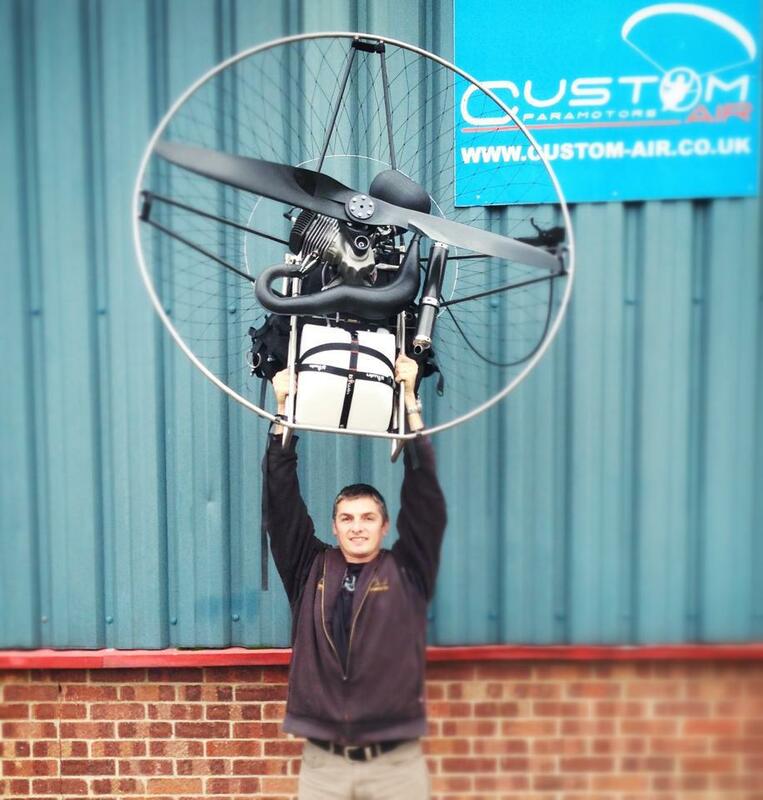 Weighing in at an expected 23kg with over 70kg thrust with the 130cm helix carbon propeller, with its many ground breaking design features Parajet are leading the way in paramotor designs. 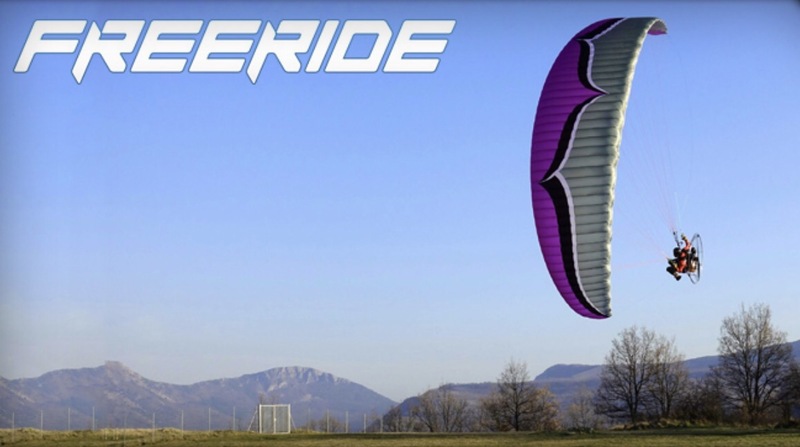 Parajet added a new UK dealer to the network, Essex based Custom-Air who will be serving the East of England.